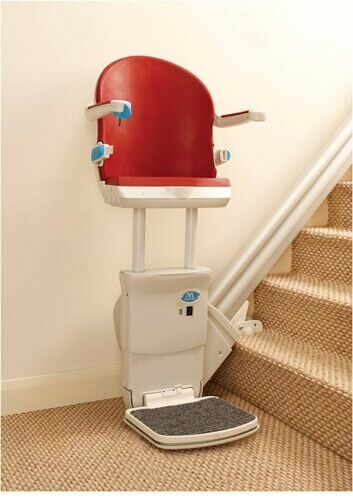 Handicare 950/1000 Perch Standing Stairlift from Handicare. 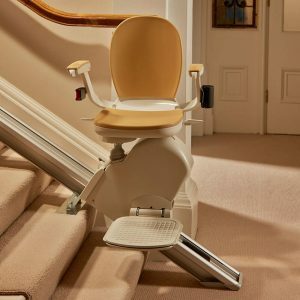 The 950 Perch Stairlift is ideal for narrow staircases or users with limited mobility in the knees or hip the perch stand up stairlift will be the ideal solution. 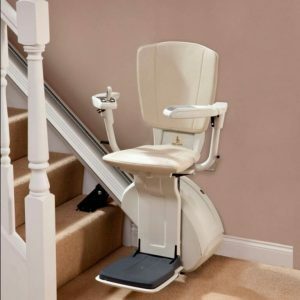 If you are thinking about installing a stairlift the Simplicity+ Perch is a stylish solution to overcome the challenges of climbing straight stairs. The Simplicity+ Perch combines the continuous charge track of the basic Simplicity with the seat of the Handicare 1000 which means it is available in a selection of six upholstery colour choices- Sand, Jade, Ruby, Sapphire, Cocoa and Slate. 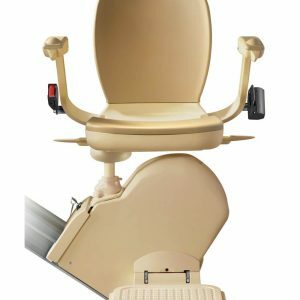 it also offers the choice of manual or powered folding footplate and manual or power swivel options. 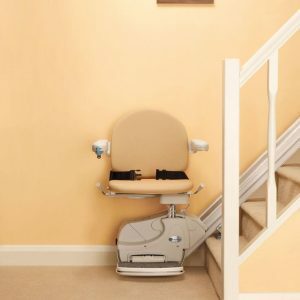 The Simplicity+Perch Stairlift is compatible with the Powered Slide Track or Manual Hinge system so if you have a doorway close to the bottom of your stairs the Simplicity+ offers you a choice of solutions to prevent the track from causing an obstruction. Sarah Wirth works for Multicare Mobility specialising in Marketing and Trend-Analysis.